The Lakes District Museum was established in 1948 as a Centennial of Otago project. Appropriately set in the former gold mining town of Arrowtown, the museum started life in the billiard rooms of the Ballarat Hotel before shifting to our current home, the former Bank of New Zealand building, in 1955. Over the last 60 years, through innovative direction, the museum is now recognised as one of New Zealand’s leading small museums. The Lakes District Museum is much more than a museum in the conventional sense; hence its popularity with local residents and visitors from all around the world. The museum has a strong hands-on focus, presenting an authentic picture of early Maori life and the harsh pioneering days of the European settlers and goldminers through working displays covering two floors and incorporating three historic buildings. The museum also houses an art gallery, bookshop, archives and research facility and a busy education programme. We also own and operate Arrowtown’s historic Post Office. 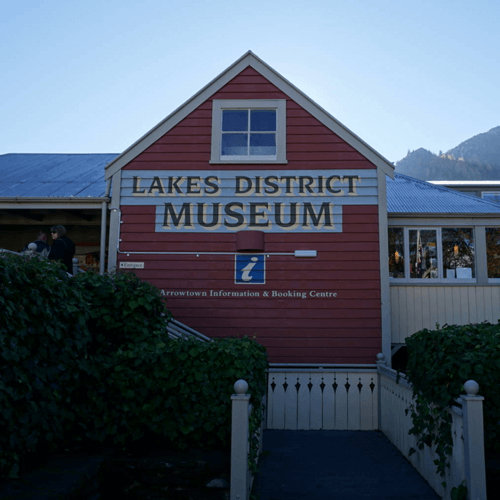 The museum’s principle objective is to promote and maintain a museum for the benefit of the population of the Lakes District, tourists and visitors to the district. Our objective is to foster interest in the history and relics of the district. The museum is also heavily involved in the protection and preservation of the districts built heritage, especially in Arrowtown. 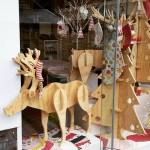 While in Arrowtown, take a walk around to admire the historic buildings sprinkled throughout the village. Ask at reception for more in-depth information on the series of walks you can do to embrace the heritage of this gorgeous town.